Things are getting worse for Harley-Davidson, the maker of motorcycles that your dad aspired to ride. They will be closing a plant in Kansas City, Missouri, the company disclosed today, while reporting fourth-quarter profits that fell 82 percent (!) compared to the fourth quarter of last year. They also announced they’ll be making an electric motorcycle, so there’s that, too. Harley made $8.3 million in the fourth quarter of 2017, compared with $47.18 million in the fourth quarter of 2016, according to the Milwaukee Journal Sentinel. The company has been in decline for years now, as sales have sagged because consumers are worried about things like safety. In addition, baby boomers, who bought a very large amount of motorcycles back in the day and remain a big part of Harley’s demographic, are also getting older. Harley has taken steps to counter what’s been a prolonged downturn, including tightening motorcycle inventories. “Our actions to address the current environment, through disciplined supply and cost management, position us well as we drive to achieve our long-term objectives to build the next generation of Harley-Davidson riders globally,” Matt Levatich, president and CEO, said in a statement. “We finished 2017 with over 32,000 more Harley-Davidson riders in the U.S. than one year ago, and we delivered another year of strong cash generation and cash returns to our shareholders,” Levatich said. Harley says it plans to tighten its manufacturing operations through a multi-year initiative anchored by the consolidation of its motorcycle assembly operations in Kansas City, Mo., into its plant in York, Pa.
Around 800 people will lose their jobs because of the Kansas City plant’s closure, while Harley will hire some 450 in York. 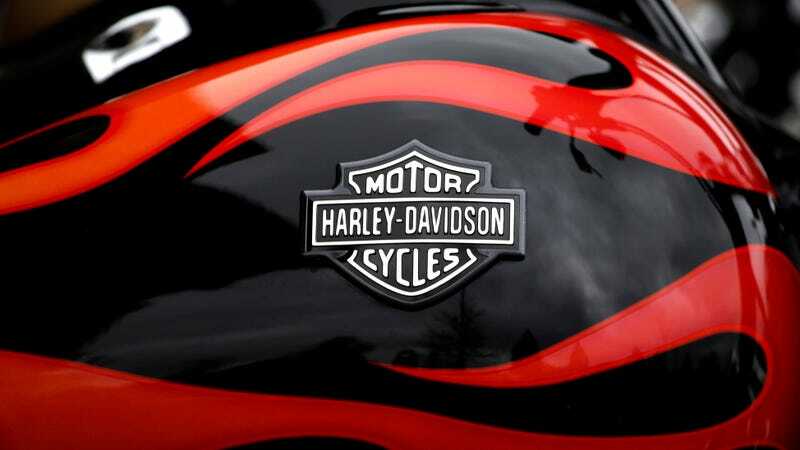 The slow death of Harley has been a bit painful to watch, though the company is still trying. Also today, it said it would be bringing its first electric motorcycle to market within “18 months.” I honestly can’t imagine who the market is for an electric motorcycle—the main appeal of riding a motorcycle is feeling and hearing the engine—but, at this point, Harley doesn’t have much else to lose.